Come and see us at our convenient "CITY" location with easy access thanks to the benton road overpass! Our "COUNTRY" location has the same friendly service and specializes in service for our country" community. Welcome to Tubbs Hardware and Rentals, your locally owned hardware store. We have had roots in Bossier since 1922. We are a Christian family-owned and operated business located in Bossier City, Louisiana and Benton Louisiana. There isn't a friendlier or more knowledgeable staff than ours. We have it all, including hardware, lawn mowers, parts, service, outdoor cooking equipment, rentals, and Cajun gifts. Check out our new equipment including Toro, Exmark, ECHO, STIHL, Shindaiwa, and YETI to see what we have. At Tubbs Hardware and Rentals, our staff is dedicated to taking care of your needs from the time of purchase to years down the road when you need parts and service on the outdoor power equipment that we sell. 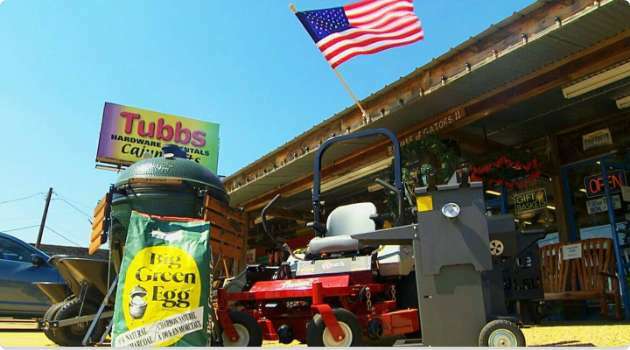 The customer service you get at Tubbs Hardware and Rentals is guaranteed by the owner Don Tubbs—you won't find that online or at any of the big box stores. 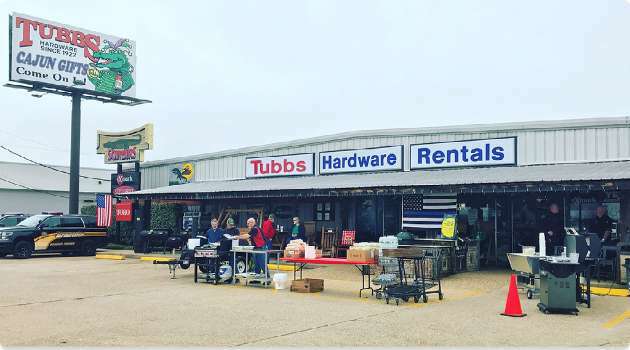 If you are a part of the community or a tourist visiting, Tubbs Hardware and Rentals is a fun place to shop and you will have a great experience. Call or stop by either location you'll be glad you did. Feel free to ask for the owner Don Tubbs in Bossier or son Kenneth Tubbs in Benton for any help or to address concerns you may have. Spend less time mowin' and more time grillin'!